Delores Junker, 86 year old Woodward resident, died Friday, March 29, 2019 in Woodward, Oklahoma. Memorial services will be held at 11:00 a.m. Saturday, April 6, 2019 at the First United Methodist Church with Reverend Shannon Davis officiating. Arrangements are under the directions of Billings Funeral Home. Delores Ileen (Garber) Junker was born on April 3, 1932 on a farm near Alexandria, Nebraska to Truman Lavon Garber and Floy Della (Gaston) Garber. She spent most of her time growing up in Alexandria, Nebraska and Reynolds, Nebraska. She later graduated from Reynolds High in 1949. Delores was united in marriage to Marvin LeRoy Junker on June 5, 1949 in Fairbury, Nebraska. They made there first home in Reynolds, Nebraska. Soon after they moved to Wyoming where they were blessed with four children; Jane, Robin, Tom, and Monte. In 1964 they moved to Oklahoma City. In Oklahoma City Delores attended a business school and enjoyed working as a secretary. In 1973 they moved to Dubai, UAE. In 1978 they moved to Singapore. In 1979 they moved to Jakarta, Indonesia. During their time overseas they spent many opportunities visiting countries and learning about other cultures in-depth. In 1985 Marvin retired, and the two moved back to Oklahoma, spent many years RVing, and settled in Texas to enjoy retirement. In 2014 they moved to Woodward, Oklahoma to be closer to family. She loved traveling and was very adventurous planning many trips. Delores spent most of her life taking care of her family and her home. She enjoyed volunteering for numerous Women Societies across the world. In her free time she loved to travel, water ski, play tennis, and square dance with her husband Marvin. She was a member of square dancing clubs, the American Womens Association, Ganesha Association, Bible studies, and other womens groups. She was an active member in the First United Methodist Church. 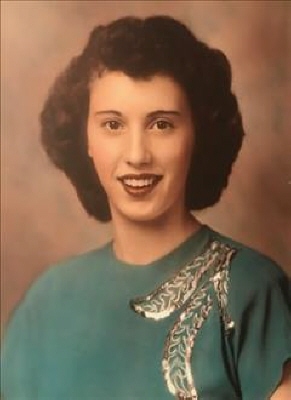 She is survived by her husband of 69 years, Marvin Junker, sons, Tom and Angie Junker of Malaysia, Monte Junker of Mosier, Oregon , daughter, Robin and Eddie Dunn of Gate, Oklahoma, brother, Lloyd and Geri Garber of Fairbury, Nebraska, sister, Darlene and Jim Gentry of Windermere, Florida, ten grandchildren; Michael Johnson of Oklahoma City, Oklahoma, Michelle Metcalf of Longton, Kansas, Kellie Badley of Gate, Oklahoma, Konya Martin of Alva, Oklahoma, Kandace Metcalf of Grenola, Kansas, Andrea Junker of Barcelona, Spain, Bryan Junker of Rosenberg, Texas, Natalie Junker of Malayia, Danielle Junker of Mankato, Minnesota, and Chelsea Junker of Menomonee, Wisconsin, eight great grandchildren; Arlis Badley, Kresta Badley, Katelee Martin, Kase Martin, Eddie Metcalf, Carl Metcalf, Tabitha Metcalf, and Zephi Metcalf; two sisters-in- law, Janis Kenning of Fairbury, Nebraska and LaRue Adams of Medicine Bow, Wyoming and other relatives and friends. She was preceded in death by her parents, daughter Jane Juleen (Junker) Johnson, and sister in law LeIla Niederklein. Memorial contributions may be made to Providence Place with the funeral home accepting the contributions. To send flowers or a remembrance gift to the family of Delores Ileen Junker, please visit our Tribute Store. "Email Address" would like to share the life celebration of Delores Ileen Junker. Click on the "link" to go to share a favorite memory or leave a condolence message for the family.